MONTPELIER, Vt. — Vermont U.S. 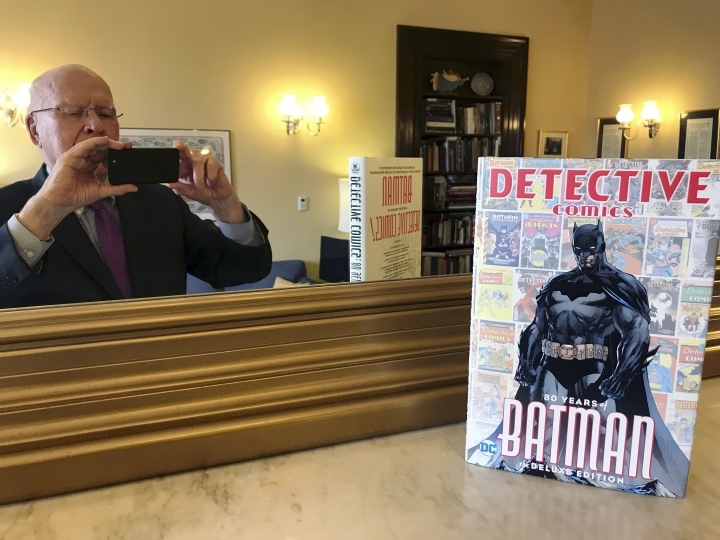 Senator Patrick Leahy has spent much of his adult life crusading for the issues that are important to him and now he's helping to commemorate the 80th birthday of his childhood hero, Batman, the caped crusader, who Leahy credits with helping him win a ban on the export of land mines. "We saw the Batman as a hero who could protect us from forces that we couldn't control — but that he could," Leahy wrote in the foreword to the book, "80 Years of Batman," that came out March 13. "He had been seared by unspeakable tragedy when his parents were murdered before his eyes. His war against evil focused on protecting others from tragedy." "They loved the idea," Leahy said. When the vote came up in the Senate, copies of the Batman land mine edition, "Death of Innocence," were placed on the desks of all of Leahy's Senate colleagues. Initially Leahy felt he had the support of at best seven or eight colleagues. "It was one of those rare things, all 100 senators voted for the ban," Leahy said.